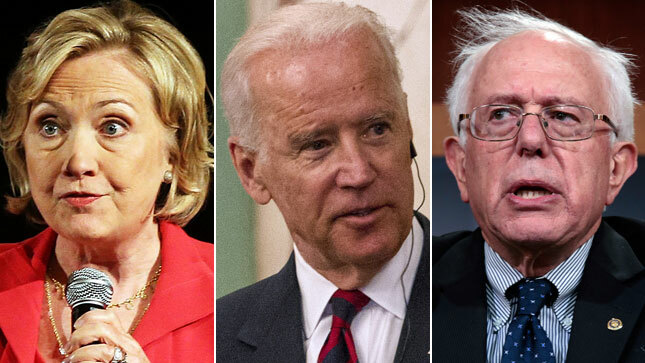 Some Hillary Clinton donors are defecting to Joe Biden, resisting entreaties from the Democratic front-runner’s campaign to stand by her despite slipping poll numbers. A few of the fundraisers have gone public with their presidential preference. Others have quietly decamped and signaled their intentions to the Draft Biden 2016 super PAC that is working to prod the vice president into the race for the White House. A decision may not be imminent, though, as Biden allies say he may wait until after the Oct. 13 Democratic debate to announce his plans. Some of his advisers have noted that launching a campaign and preparing for a debate simultaneously might not be the best strategy, said one Democrat familiar with the Biden team’s planning. In the meantime, the Draft Biden organization is securing commitments as the vice president’s public standing is on the rise, while Mrs. Clinton appears more vulnerable. A Wall Street Journal/NBC poll released this week shows that Mr. Biden is running stronger than Mrs. Clinton in head-to-head match-ups against leading Republican candidates. The International Association of Fire Fighters, one of the country’s more politically powerful unions, has abandoned its initial plans to endorse Hillary Rodham Clinton for president, according to union sources. Harold A. Schaitberger, the union’s general president, informed Mrs. Clinton’s campaign manager, Robby Mook, in a telephone call on Monday. According to a union official, Mr. Schaitberger told Mr. Mook that the executive board and rank-and-file members — the latter were recently polled — did not support a Clinton endorsement. The early support of a cross section of unions — most prominently the American Federation of Teachers, which endorsed Mrs. Clinton in July — had been a source of strength for the Clinton campaign. But in recent weeks, as Mrs. Clinton’s numbers in some polls have sagged and she has faced an increasingly formidable challenge from Senator Bernie Sanders of Vermont, some labor unions appear to have had second thoughts. The impetus for Mr. Schaitberger’s call to Mr. Mook were conversations about the endorsement at the board’s meetings in mid-September, when board members expressed interest in the possibility that Vice President Joseph R. Biden Jr. would join the Democratic field. Clinton praised the NEA and teachers in general in a statement after the endorsement was announced. “I know from personal experience that a teacher can make a profound difference in a child’s life,” Clinton said. But the move by the board of the nation’s largest union to give her a primary endorsement nod is sure to further aggravate many rank-and-file members who wanted more time to consider the candidates — especially as Vermont Sen. Bernie Sanders wages an unexpectedly competitive run and Vice President Joe Biden weighs his options. Mueller — a Sanders supporter — said she’s upset by both the timing of the process and that Sanders wasn’t given more of a chance. After NEA’s announcement, Sanders thanked members like Mueller who back him. “We are going to win this nomination and the general election because of support from grassroots Americans. We are on track to do just that,” Sanders said in a statement. NEA’s action now positions the union as a more emboldened political player this election cycle. When the union sat out the divisive 2008 Democratic primary between Clinton and then-Sen. Barack Obama, many members felt they had lost an opportunity to influence the race and the policies of the eventual winner. It’s the opposite approach of the Service Employees International Union, the American Federation of State, County and Municipal Employees and the International Association of Fire Fighters, which have opted to delay endorsements — something labor insiders attribute to uncertainty over Biden and Sanders. Clinton currently leads the race for union endorsements, although Bernie Sanders might receive many of the votes from their members. In August, Sanders received the endorsement of the nation’s largest nurses union. Update: CBS News is reporting that people close to Biden are saying that he might announce his decision in the next seven to ten day and that he is leaning towards running. Even if he decides to run, he is not expected to enter the first Democratic debate on October 13. It sounds like it is too complicated, and time consuming, to both work on putting together the foundations of a campaign and to prepare for the debate. Posted in Bernie Sanders, Hillary Clinton, Joe Biden, Politics. Tags: Bernie Sanders, Hillary Clinton, Joe Biden. RSS feed for comments on this post.. TrackBack URL.